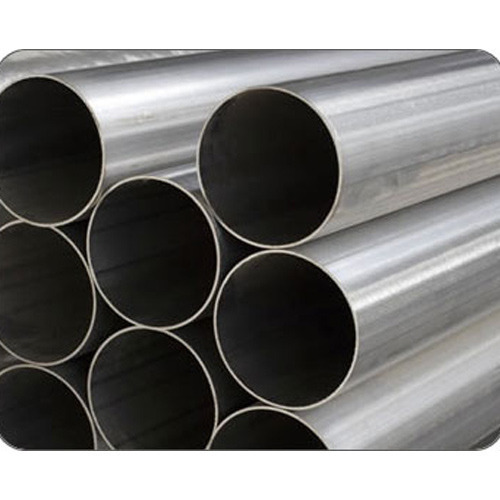 Since our establishment, we have become the well-known manufacturer and supplier of a high quality array of Alloy Pipes. The offered range is manufactured by utilizing high grade raw material and advance technology by our skilled engineers. Apart from this, our range is tested on various parameters in order to ensure its sturdiness and quality. Clients can avail these pipes from us in different specifications and at affordable prices. Established in 2006, "Shubham Industries", has asserted a stronghold over the market as a leading wholesaler, supplier and exporter of Stainless Steel Components. Our offered range of products include Pipe Tubes and Tubing, Outlets and Forged Fittings, among many others. Having adhered to industry-set norms, we supply only quality products that are renowned for their corrosion and impact resistance, greater tensile strength, optimal performance, dimensional accuracy and durability. We work with only reputed manufacturers and vendors – who have been with us for the majority of our time in the industry. We are on the verge of securing a Certification. We are exporting globally. We have empowered our team with the country’s best procurement agents, warehousing experts and marketing professionals. This dedicated workforce engages with reputed manufacturers, while under the supervision of in-house quality experts. Our manufacturers have set up a state-of-the-art unit which is equipped with imported machinery and technology. These are some of the reasons we have amassed a huge clientele that spreads across to loyal clients in various countries.